New Hampshire – the first colony to sever ties from Great Britain – is once again leading the revolution. Along with its centuries-long “Live Free or Die” culture, New Hampshire is becoming a Mecca for digital currency enthusiasts. In just the last few years, Bitcoin experts and entrepreneurs have been eagerly coming to New Hampshire to spread their message. Many Bitcoin users are members of the Free State Project: a cooperative organization encouraging liberty-lovers to migrate to New Hampshire. Members of the Free State Project range from Democrat and Republican Party members to crypto-anarchists, and many in between. As Bitcoin represents an incredible technological advance in the direction of liberty, it should come as no surprise that early Bitcoin movers are invested ideologically as well as financially. Manchester, New Hampshire, is home to the longest-running weekly Bitcoin meetup in the world (soon to hit 121 weeks). Most meetups number 15 to 25 attendees, with a diverse crowd of families, young professionals, teachers, couriers, programmers, inventors, businessmen and more. They gather to eat and drink, hang out, and especially discuss Bitcoin news, altcoin projects, price speculation, new applications for Bitcoin, and more. New Hampshire Bitcoin businesses are growing rapidly. The owners and founders of Lamassu, maker of the popular Bitcoin machine, live and work in Manchester. Restaurants, law offices, barber shops, painters, a martial arts studio and many more businesses accept Bitcoin in New Hampshire. According to Coinmap and Wikipedia statistics, there exists one Bitcoin-accepting merchant for every 44,000 of its residents. This is 4.3 times more dense than neighboring Massachusetts, 4.8 times more dense than the state of New York, 2.5 times more dense than Texas, 2.9 times more dense than California, and 2.6 times more dense than Florida. The Free State Project, which has been accepting Bitcoin since 2011, holds two annual events: Liberty Forum, which is held in the winter, and the Porcupine Freedom Festival (Porcfest), which is held in the summer. Both Liberty Forum and Porcfest are Bitcoin-heavy, featuring large displays of Bitcoin companies such as Blockchain.info, and inviting speakers such as Patrick Byrne, CEO of Overstock.com, and Erik Voorhees and the Coinapult team. Bruce Fenton, Roger Ver, and Erik Voorhees are all signers of the Free State Project, having pledged to move to New Hampshire once a critical mass of fellow libertarians have signed on as well. Bitcoin and cryptocurrency feature prominently in New Hampshire-based radio, including Free Talk Live, Rebel Love Show, Neocash Radio, and local media like Shire Dude. In addition to instances of purely societal growth, New Hampshire politics itself is becoming changed by Bitcoin. Mark Warden, a realtor and New Hampshire state representative, is among the first of the elected officials to solicit and receive Bitcoin donations for political campaigns. After the election, his team subsequently educated the Secretary of State’s office on Bitcoin, including handling it and accounting for it in campaign finance matters. Upcoming candidates in the 2014 election cycle are joining the Bitcoin train, including State House candidates Shem Kellogg and Andre Rosa, among others. …New Hampshire is a state where we have the opportunity to create the exact opposite situation [regarding] things happening in New York. To do that, we need a governor who understands cryptocurrency, who understands the entire technology framework that’s involved around the blockchain, and the potentials there. And to make sure we keep government out of the way, and to stop government from crushing innovation, which it is prone to do. So I am running on a pro-innovation platform and a pro-technology platform; …we’re very forward looking. I think New Hampshire is a state that has a great potential for the crypto market. I’m running for governor to try to push that. Hemingway has also expressed ideas regarding utilizing blockchain technology within the State apparatus. Paying public contracts or collecting micro-transactional fees could become vastly easier and more transparent with Bitcoin or with a similar decentralized digital currency. An anonymous New Hampshire driver earned a few minutes of fame on reddit for being the first person to pay a parking ticket in Bitcoin through the use of Brawker. As Bitcoin use becomes contested or prohibited in other areas of the world, various States will respond accordingly. Some States – culturally or economically tied to a superpower – will fall in line behind a major decision regarding legality. Others will break from the norm, hoping to attract real innovative value from what the rest of the world has shunned. Certain countries of Europe such as Switzerland have acted this way with regards to privacy and digital freedom; places like Hong Kong or Singapore are seen as oases of economic freedom. Despite whatever obstacles states place upon Bitcoin use, it will continue to grow. It becomes stronger as more people become familiar with Bitcoin and begin preferring it. 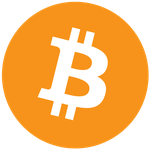 While Bitcoin demonstrates that geographical proximity is not required for money to emerge, having a concentrated mass of Bitcoin users accomplishes two related goals: 1) Establish local trade patterns with others using Bitcoin, thus experiencing firsthand living a fiat-free world, and; 2) Acculturate the surrounding members of mass society, such as enshrining Bitcoin protection into law and accelerating merchant adoption. Eventually, as Bitcoin becomes more popular in New Hampshire, it will begin to make inroads in people’s economic lives. They will see Bitcoin down the street and in the newspaper, they will see goods quoted in terms of it, they will hear friends or family talk about it. Over time, this becomes the “new language” for commerce. As Bitcoin begins to shake up the world, it is important for there to be locations and groups of people familiar and accepting of Bitcoin rather than those that choose to fight it. New Hampshire is beginning to look like that place.